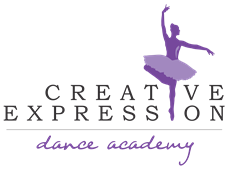 Welcome to Creative Expression Dance Academy! Please complete the following registration form. Creative Expression Dance Academy and its teachers are not responsible or liable for any injury that occurs during dance classes or any dance related activities, before, during or after class, or while on the premises. Creative Expression Dance Academy is not responsible for any lost or stolen items while on the premises or in class. Creative Expression Dance Academy is not liable for any injury or lost or stolen items that occurs off the premises in other dance venues. I consent to Creative Expression Dance Academy to use any dance related photos or videos of my child for display, promotional and advertising purposes. Cancellations/Withdrawals will only be accepted up until December 31st 2018. Such notice must be written and submitted no later than December 1st in order to receive a refund of paid tuition (January onward, if full payment was taken). This does not include registration fees or last month's payment. After December 31st 2018, your dancer may cancel/withdraw but all fees and tuition for the remainder of the season will be processed. No Exceptions. * Registration Fee, BGCA Fee, and Last month's payment are Non - Refundable. 1 month written notice must be given for all Class withdrawals. These reductions are subject to a $15.00 fee, and the new tuition fees will be effective 1 month after your notification. Please give notice by the 1st of the month, as partial months tuition will not be refunded. If adding classes, added class fees are effective immediately. No Refunds will be given after December 31st, 2018 for any withdrawals, due to performance preparations. There will be NO refunds for missed classes by students. Please let know the morning of, if possible, of a child's sickness resulting in their absence. We offer 35 weeks of classes per year. Tuition does not include apparel, recital costumes, competition costumes, tickets, and competition or recital fees. These are billed separately. *First and Last month's tuition payment is due at time of Registration as a deposit for the year, as well as the Registration Fee and BGCA fee (If not already paid). Additional payments will start August 31st, 2018 and follow through on the last day of each month, including and ending with March 31st, 2019. Registration Fee, BGCA Fee, First and Last Months Tuition are Non-Refundable at any time for any reason. *You may pay in full at time of registration or choose the 10 equal payments option, if you have a credit card on file with us. A 2.5% charge will be applied to each credit card transaction. Postdated cheques are required if you choose to make 10 equal payments and must be brought into the studio during the first week of classes. Students will not be able to start classes until cheques are handed in for the year. Please note these cheques should be made out for the last day of each month and made payable to Creative Expression Dance Academy. *The Bearspaw Lifestyle center requires Creative Expression Dance Academy to collect the annual Family Membership fee of $40.00 to have access to all programs and events at the centre. Please inform us if you already have a membership. Your Email and Personal information is not for sale - We collect standard customer information. We understand how important this information is to you. We are committed to keeping it strictly confidential. Your privacy is not for sale. We will never sell, rent, or otherwise abuse the private information you have trusted us with. We do not SPAM or sell your email addresses - We have an anti-spam policy that prohibits selling, sharing, or otherwise abusing your email address. We collect it to serve as your login identifier and for our systems to communicate updates to you. Data security - We use SSL (Secure Socket Layer) encryption for entering your personal information into our system.. We use Safe Safe Payments as our third-party credit card processing company. You will setup your own account which we do not have access to. About your Privacy - We sometimes work with a third-party through affiliate agreements and website co-brands. We are not and cannot be responsible for the privacy policies of these third-party sites or how they treat information about their users. We do not provide these sites with your information. Beyond that, we encourage you to review their privacy policies to ensure they are up to your standards. Legal disclaimer - We use reasonable precautions to keep the personal information disclosed to us secure. We are not responsible for any breach of security or for any actions of any third parties that receive the information. We may also disclose personal information when required by law or in the good-faith belief that such action is necessary in order to conform to the edicts of the law or comply with a legal process served on our company. Policy changes - Our privacy guidelines will not change without your knowledge. We will notify you by email of any significant updates to this policy or any notable changes to the way we collect or use personally identifiable information.